This striking silver Sara Miller necklace features a leaf on a delicate chain. Falling from the cluster of leaves are 2 more delicate chains, with a leaf on the end of each one. 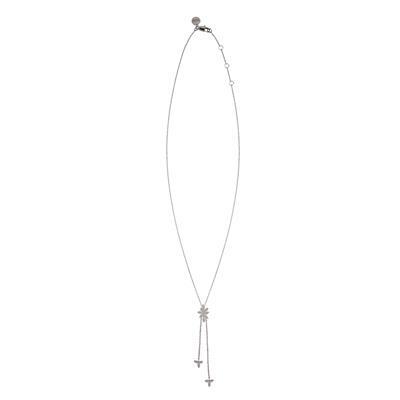 Wear this necklace with any outfit to add glamour and sophistication.